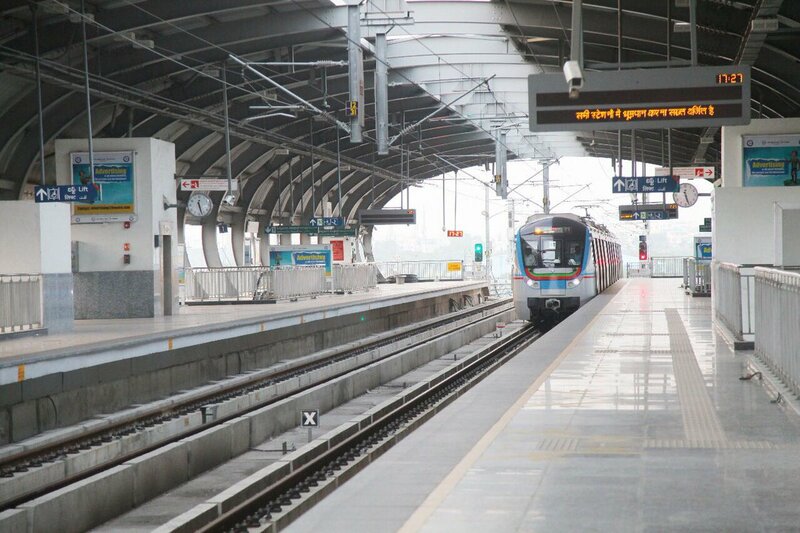 Hyderabad: The Hyderabad Metro Rail has received confirmation from Prime Minister Narendra Modi’s office, for inauguration of its first phase on Nov 28. The PM Office has given it’s official confirmation to the Telangana government regarding PM Modi’s Hyderabad visit. PM Modi will arrive at Begumpet Airport in Hyderabad on November 28 at 3 p.m, according to the reports. PM will receive a warm welcome by Telangana, CM, K Chandrasekhar Rao, Governor ESL Narasimhan, and other Ministers before heading to the Miyapur Station by 3.25 p.m.
PM Modi will inaugurate the Hyderabad Metro Rail & will travel in the train till Kukatpally and back to Miyapur. After visiting the Special Photo Exhibition of the Metro Project, the PM MOdi will head to HICC for Global Entrepreneurship Summit (GES).